Learn how to setup virtual web hosting for multiple domains to be server from one single server. Hey guys, welcome back to Intelligent computing, previously i posted HOW TO SETUP YOUR AWS AND LAMP TO RUN YOUR FIRST PHP APP? 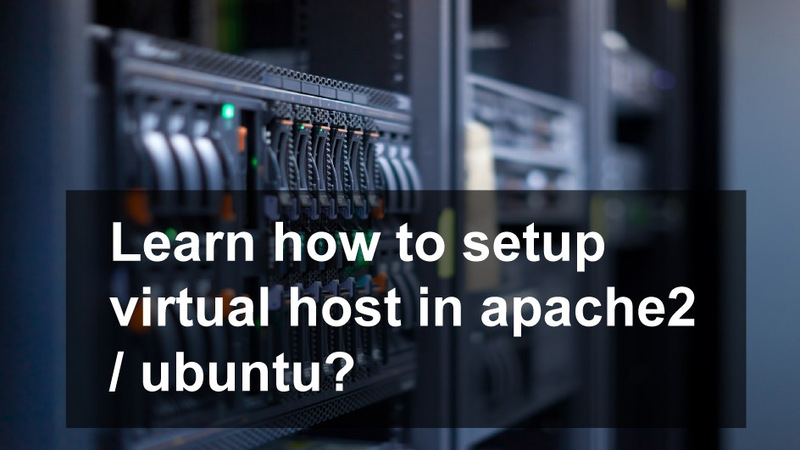 Followed by HOW TO SETUP AND CONFIGURE LAMP ON UBUNTU SERVER? And its great piece of article to setup aws and deploy php web app/site on root of apache. But if you are having a pretty robust server and/or you planning to deploy multiple websites on single server under multiple domains, you need to step ahead and create virtual hosts in apache2 settings, which i’ll explain how you can proceed and get your new site up and running on same server in few minutes. This procedure i am explaining is for ubuntu with apache2 so everything going to be accordingly. You can simply put IP address of server in your DNS setting which will start pointing your domain to server where you are about to host your websites/web app. This will show your server’s IP address once it’s updated. Now let’s proceed to virtual host creation. Open /etc/apache2/sites-available/site1.com.conf with your favourite editor in full admin/sudo mode and edit. Now you need to enable this configuration to enable site on your machine. For this you need to execute simple a2ensite command for your newly configured site. And yes you have enabled this site in your configuration, you are one command away to make your site1.com live, just restart your apache and done. If you face any problem in saving or execution of apache, check everything once again, for any typo or similar stuff. 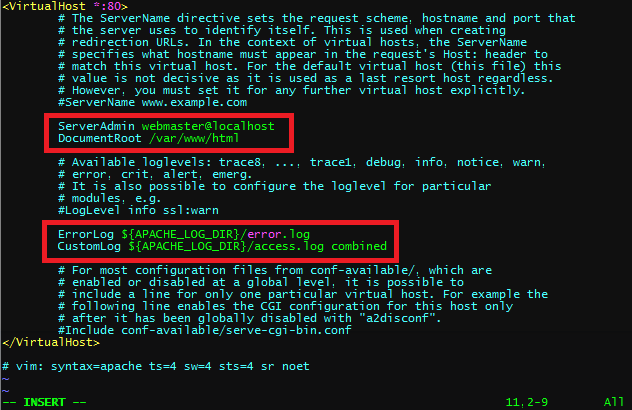 Also do not forget to check apache error log if any, and if you are not able to restart apache. You might wants to know how Expert secure themselves in an amazing infographic post followed by sharing your website/web application from your localhost to anywhere on internet to show someone your work without deploying it on server. If you find it useful, please share it to your peers on social media and follow @inteligentcomp on twitter/facebook for more updates.